Whether you require a small progressive die for a limited production run or a full set of transfer dies, Right Tool & Die has the facilities and expertise to meet your needs. 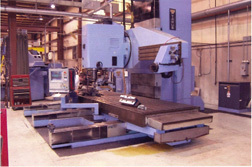 Our plant is fully equipped with an on-site engineering department, CNC machining centers, EDM machines, tryout presses and other necessary equipment to manufacture any transfer, line or progressive die. Our real benefit to you is that whether your needs are simple and small or large and complex, Right Tool can be your full source supplier, improving your quality and minimizing your purchasing and project coordination costs. A team of experienced die makers, supported by our engineering and quality control departments, oversee the construction of each die. 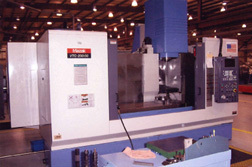 This team approach assures that only the highest quality, most accurate products leave our facility. While we do a significant amount of work on smaller pieces, we also have the tools to build and tryout larger dies. 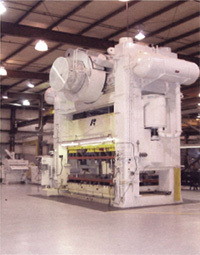 This includes larger cranes, larger presses and larger machining centers for dies up to 72 x 144 inches in size. Whether your manufactured product is a simple shape or you are working with tight tolerances, complex structure and difficult materials, Right Tool & Die can provide the engineering and design services to ensure the right tools and the right process for your needs.